Foot Locker is the world’s leading athletic shoe and apparel retailer and this globally recognised brand is easily accessible to you at Chadstone’s Lower Ground level, near the car park F. The brand has been in business for over four decades now and over these years, it has become the byword for exclusive sports-inspired footwear. When the brand first opened its doors to customers, way back in 1974, there weren't many options available to choose from in the range of comprehensive sneakers. In fact, the only models available were tennis, running and basketball sneakers. It was Foot Locker that took the first step forward in introducing a whole range of athletic footwear to the world. The brand has a comprehensive collection of classic footwear and exclusives, which makes it the perfect destination for hard-core athletes, beginner exercisers and pros, too. They stock footwear for both men and women and cater to individuals of all ages, with shoes right from infant size to adult. Foot Locker has developed partnerships with top-rated partners in the athletic shoes arena and this helps them bring to their stores the latest collections from all the top brands in the world including Adidas, Puma, Basics, Nike, Converse, Reebok and more. 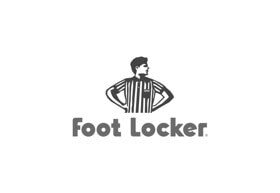 The best thing about shopping at Foot Locker is that every single product they offer is tested and proven to be of the highest quality in terms of performance, durability, strength, comfort and fit. You will also find branded athletic clothing and accessories like caps and backpacks right here at the store to stock your training kit with premium quality products.